Renault RBC 7 seater MPV spied in Chennai - Bigger than Maruti Ertiga? Renault RBC 7 seater MPV spied in Chennai – Bigger than Maruti Ertiga? New Renault RBC is a low cost MPV which will be launched in 2019 in India. Hat tip to automotive enthusiast Aravind Siddaarth T K for sharing these exclusive spy shots on Rushlane Spylane. Renault India is actively testing the new MPV which is codenamed RBC as on date. 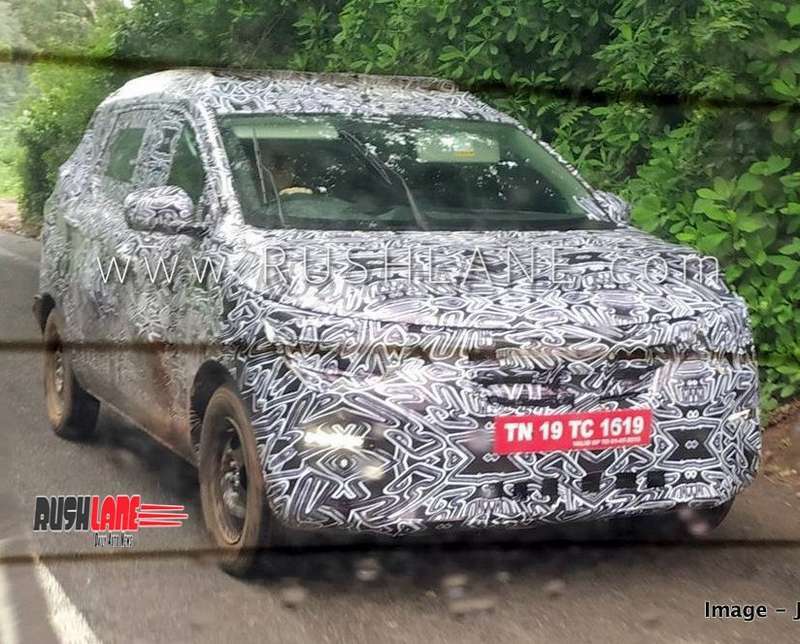 Spy shots of this made-for-India car first emerged earlier this year. Due for launch in 2019, the low cost MPV has been spied once again. The latest spy shots were shared by auto enthusiast Aravind Siddaarth T K on Rushlane Spylane. This spy shot gives an idea about the car’s size while on public road. Renault RBC is expected to be larger than the Maruti Ertiga. It could be positioned on a modified version of Renault Kwid CMF-A platform which will be called CMF-A+. It will get a longer wheelbase resulting in a more spacious cabin. It will also allow for a generous 3rd row. 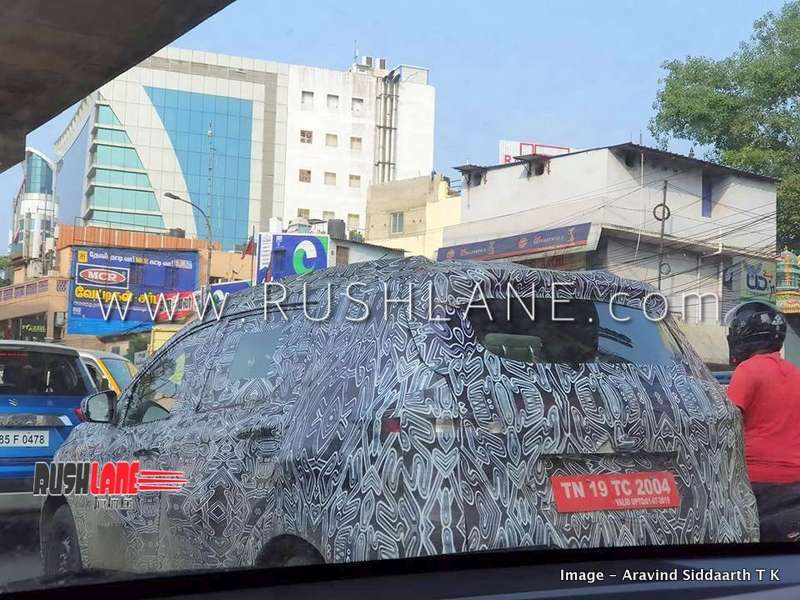 Spied testing in Chennai, the MPV could get Kwid inspired styling cues. These include Kwid like headlamps and grille design. RBC MPV is taller with a longer. A spacious interior with an attractive design is also expected while heavy localization will result in more attractive pricing. In view of increased safety features being a major selling point, Renault could add driver and co driver seat belt reminders, dual airbags, ABS with EBD and speed alert system as standard on the RBC MPV. Renault RBC will be offered with petrol and diesel engine options. These could be same as the one’s being offered on the Duster. Petrol variant delivers 106 PS and 145 Nm while diesel delivers 110 PS and 240 Nm. Expect pricing to be in the region of Rs 7- 11 lakhs for this 7 seater MPV.